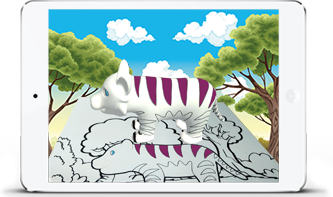 Ordinary pictures of animals fill in and transform from flat white drawings to exciting, colorfully interactive characters right before your eyes. 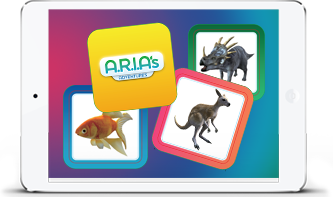 Open Aria’s Adventure app and tap the Coloring button. 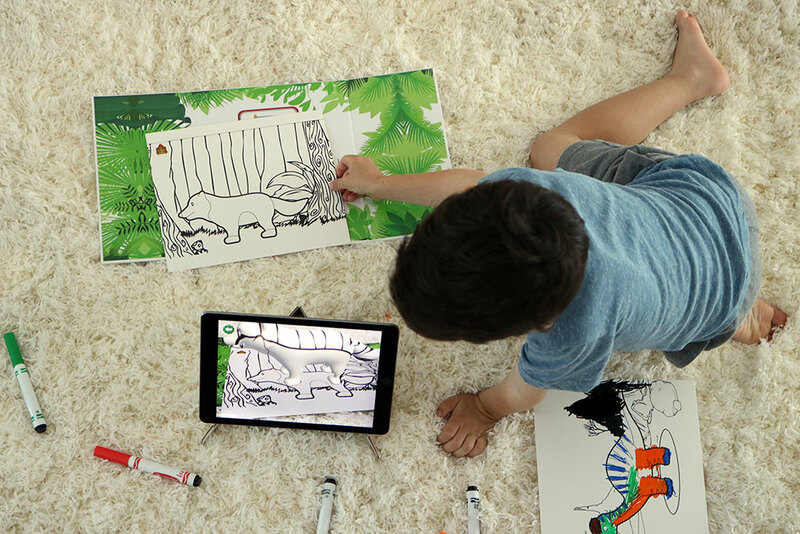 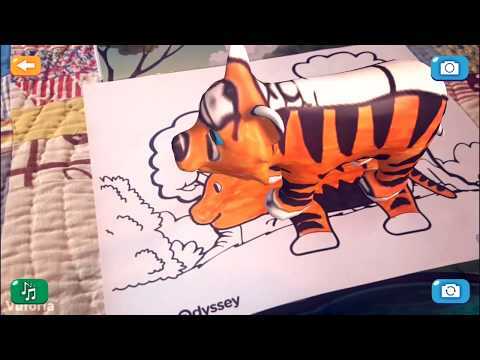 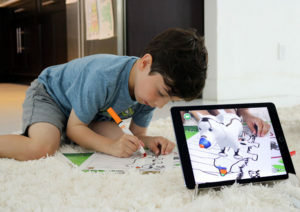 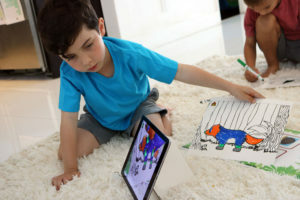 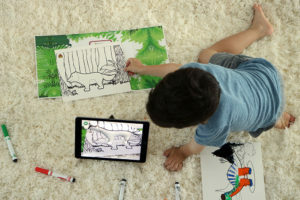 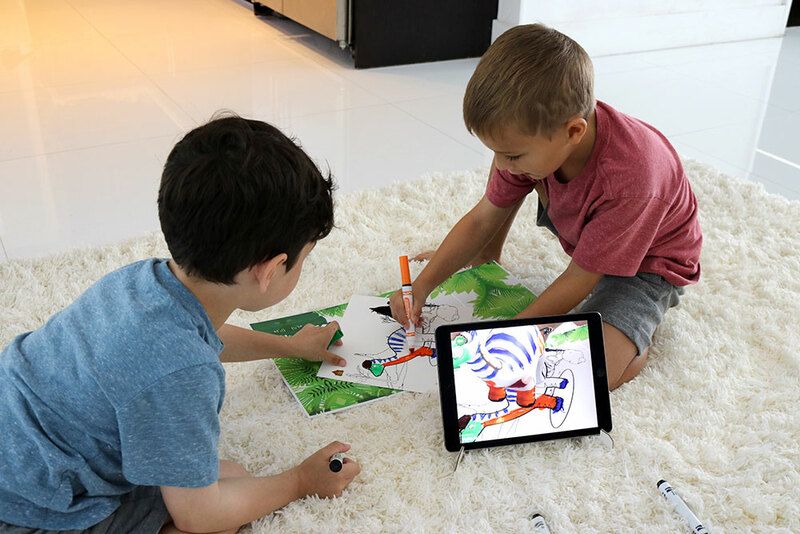 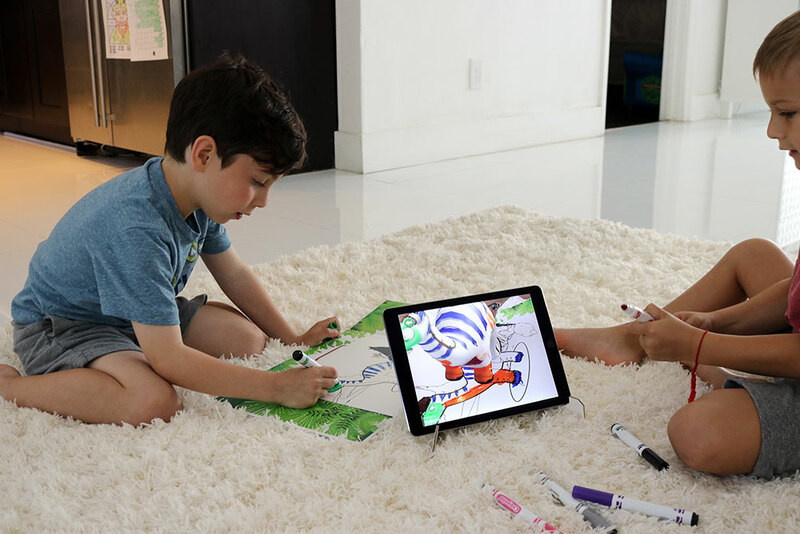 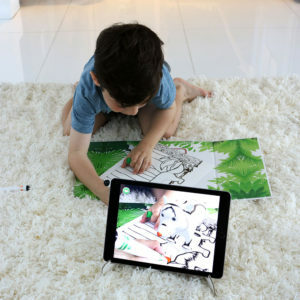 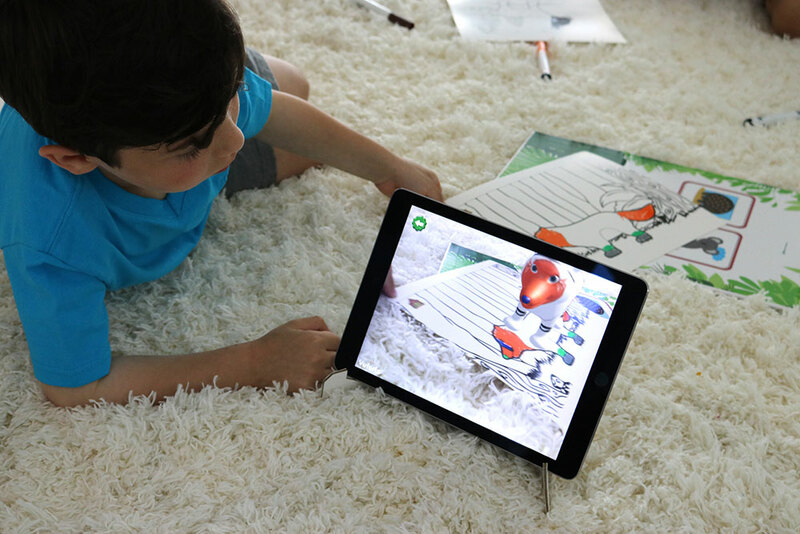 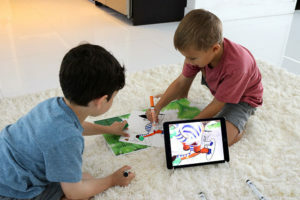 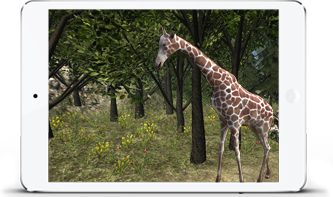 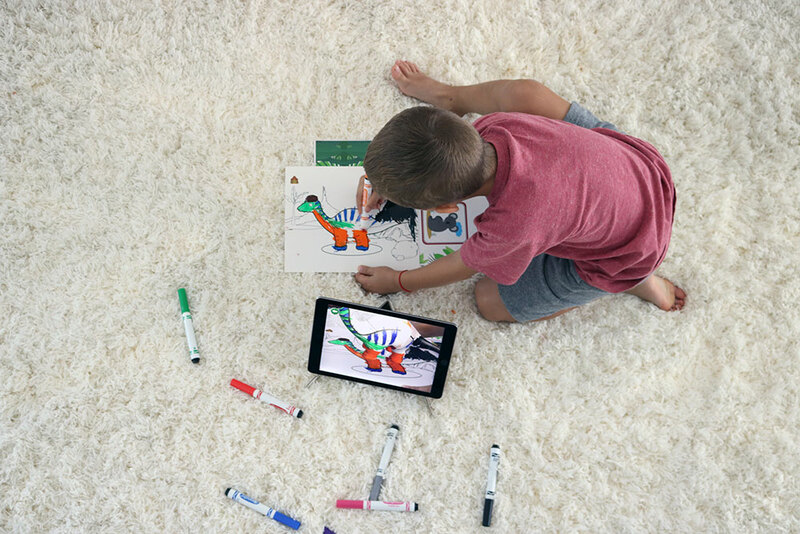 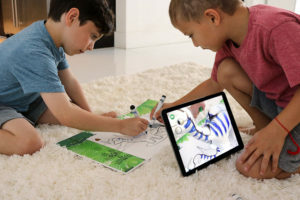 Place a coloring page in front of your device and watch your animal come to life! 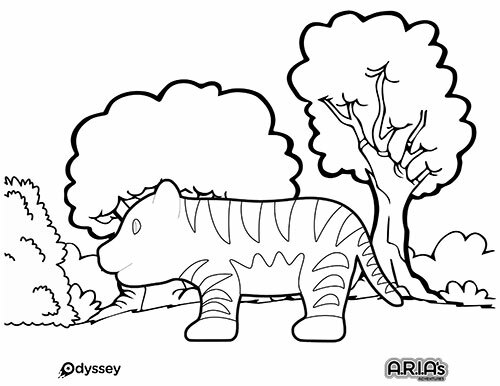 Color on the paper and see your animal's color change on screen! 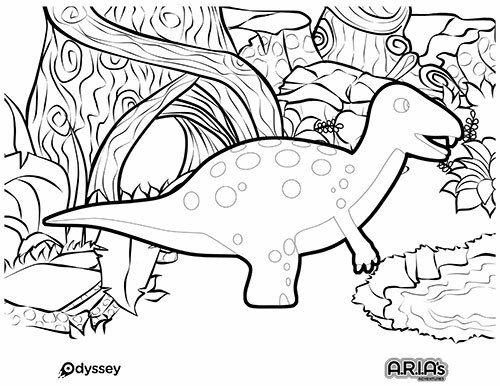 Never run out of coloring pages! 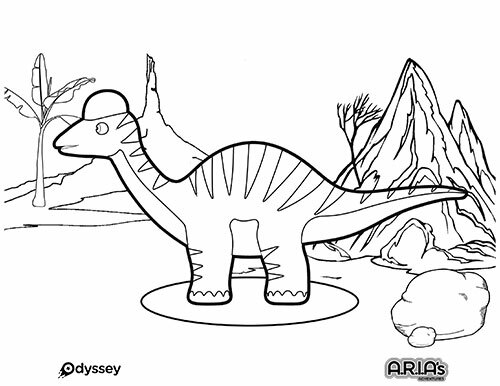 Click each page for a FREE* download. 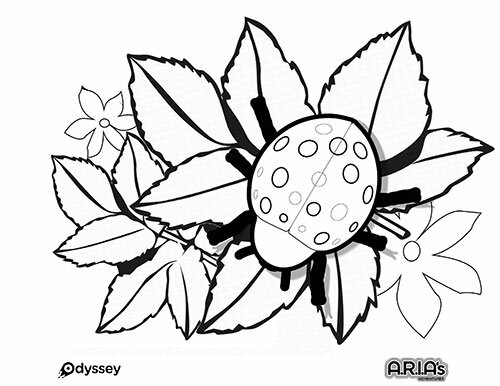 *The download of these coloring sheets is copywrite and solely permitted to those who have purchased the ARIA experience from any of our authorized dealers.